Two Things to Emphasize – References are not endorsements, and Parents know best. When we create culture, we worship – God or something or someone else. There are often good things in pop culture that can point us toward God. It’s not enough to reject culture, or to blindly consume it, but rather we should be critical consumers of pop culture. Big Idea: Critical consumers of pop culture look for the worldview. A worldview is the beliefs and understanding through which we make sense of the world. Everyone has a worldview, but not all worldviews are equal. Weigh the worldviews of pop culture against a biblical worldview. Philippians is a unique book, not just because it is filled with famous quotes… but also because of the occasion and reason Paul wrote the book. Philippians is a letter that Paul writes… not so much to correct a problem or problems… but to check in on friends. And this “catching up” is prompted by Paul’s love for this church and their sending of someone to care for him. See when Paul writes this letter… he is sitting in a Jail cell in Rome. He is awaiting a trial that will determine his future. The Philippians send a guy… named Ephaphroditus, along with a gift, to encourage Paul and show their concern and support for him. Paul responds by writing the letter that we know as Philippians. The Philippians are people that have already grown much in their faith… and Paul wants to encourage them in this and also motivate them to continue pursuing maturity in their faith. And Paul is also encouraging them throughout the book to follow his example. He gives them a model that they can imitate. This is why I’ve titled this series Model Christians… I want to show you some characteristics of what it means to be a Model Christian… so that you might pursue maturity as a Christian and be an example of it to those who are around you. The first thing that I want to draw out from Philippians… and a main aspect of Model Christians… is what they are centered on. Q.W.A #3: Isn’t Christianity Intolerant? Christianity makes a big exclusive claim. Christianity claims that the only way to be saved is through Jesus Christ. This claim is exclusive because no other religions believe this. And by this basis Christianity says that all other religions are wrong. They may contain some truths in them, but as a whole they are wrong and offer a false path to salvation. Because of this claim many people believe that Christianity is by nature intolerant. I want to demonstrate to you tonight that claiming Jesus is the only way to be saved is not intolerant, and that Christianity should actually create people who are tolerant. Big Idea: The claim that Jesus is the only way to be saved actually promotes tolerance. Q.W.A #1: How Can We Know the Bible is True? 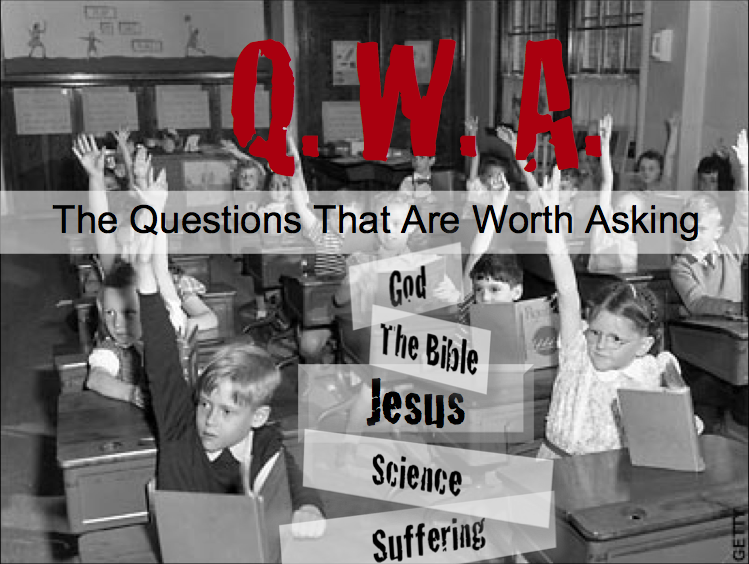 Q.W.A – Questions Worth Asking? It’s Okay to Have Doubts – Whether we would say we are a Christian or not, we all wrestle with doubts about Christianity. Sometime those doubts can be very strong and seem overwhelming. The good news is that it’s okay to have doubts! Jesus own disciples had doubts! Doubt your Doubts – Everybody lives by faith in some way. In this series, we are going to look at several doubts that we all tend to wrestle with at some point or another. NOTE – We are just going to touch the surface on some of these issues – believing and overcoming doubt is often a lifelong journey. Introduction: Tonight we are going to at a question that comes up almost immediately when we begin to think about whether or not Christianity is true – and that is How can we know the bible is true? What Christians know about God, themselves, and what God has done in this world primarily comes from the Bible. We can know certain things about God and ourselves apart from the Bible, but the main claims of Christianity are only found in the Bible. What is the goal of where’s Waldo? It’s to find Waldo. This morning we are going to look at a Story Jesus told about two brothers that were ultimately lost and outside the kingdom of God. Introduction: The Parable of the Prodigal Son is up there with the Parable of the Good Samaritan as one of Jesus’s greatest stories. It shows us the love and Grace of God, but it also shows us the ways that we try to live apart from God and outside of his kingdom. There are two ways to be lost. 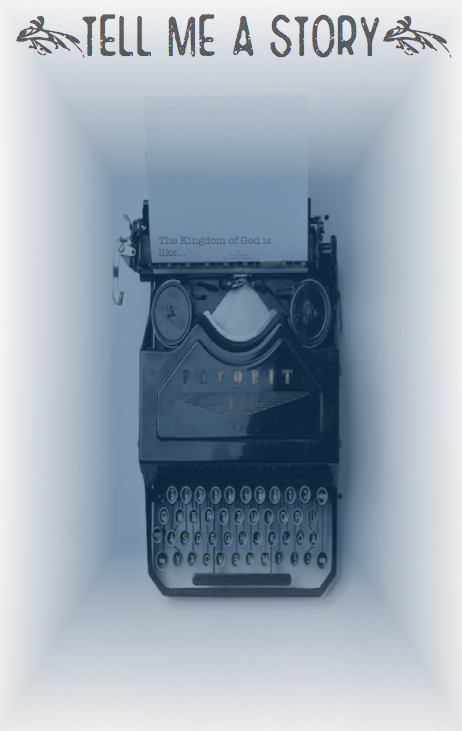 Big Idea: There are two main ways to live outside of God’s kingdom.